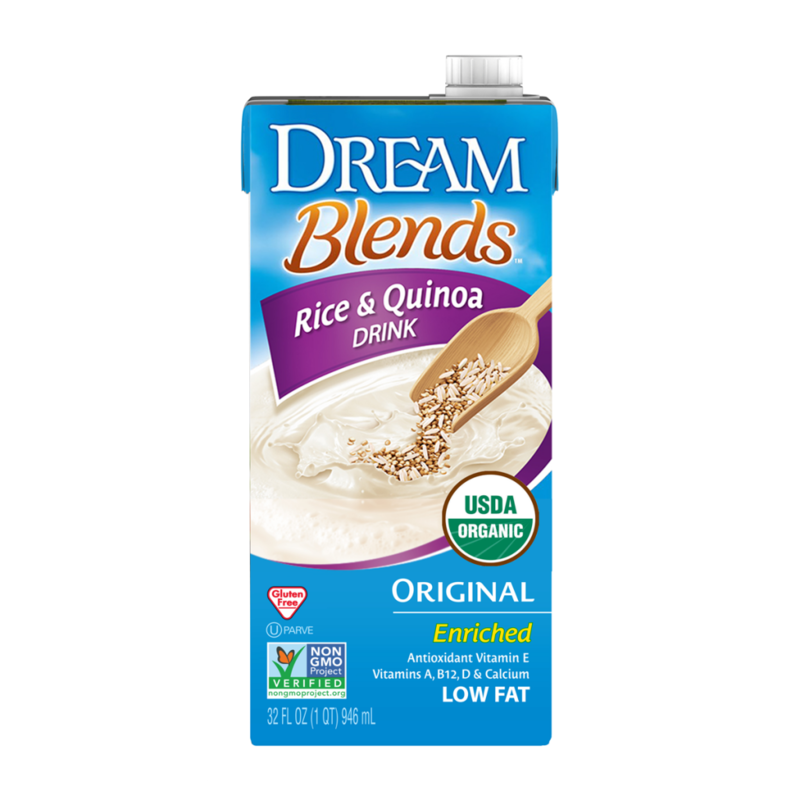 DREAM™ Blends Original Rice & Quinoa Drink is a creamy, slightly nutty tasting beverage made from organic brown rice* and organic quinoa. It’s low in fat, rich in calcium and enriched with antioxidant vitamin E and vitamins A, B12 and D. Pour it over your cereal, or mix with fruit, nuts and other wholesome ingredients to create an indulgent (yet nutritious) smoothie. 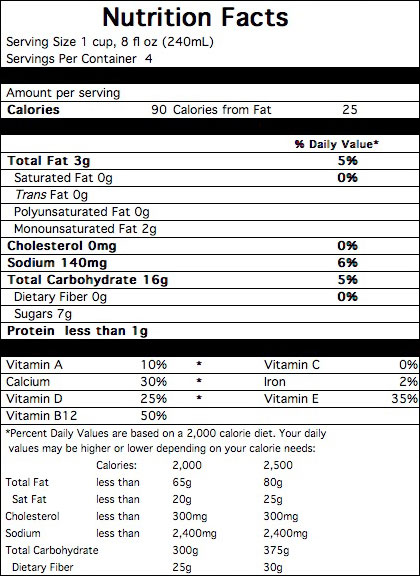 FILTERED WATER, ORGANIC BROWN RICE (PARTIALLY MILLED) AND ORGANIC QUINOA BASE, ORGANIC EXPELLER PRESSED CANOLA OIL AND/OR ORGANIC SAFFLOWER OIL AND/OR ORGANIC SUNFLOWER OIL, TRICALCIUM PHOSPHATE, SEA SALT, NATURAL FLAVORS, VITAMIN E (D-ALPHA TOCOPHERYL ACETATE), VITAMIN A PALMITATE, VITAMIN D2, VITAMIN B12.